Let’s be honest. No one really wants to have to call any sort of customer service representative. It’s always at the very bottom of my to-do list because, well, it’s usually not an enjoyable experience. 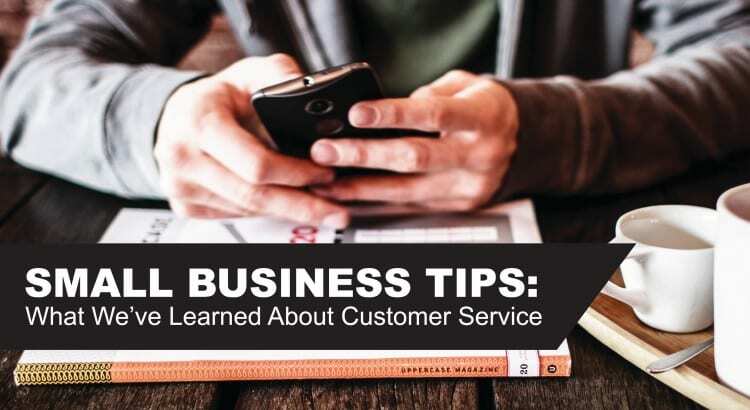 We all remember what happened when a bad Comcast customer service call went viral… However, good customer service creates loyalty, word-of-mouth reviews, and, of course, revenue growth. At Signs.com, we believe what sets us apart from the competition is our excellent customer service. Products, methods, and even websites can be replicated, but nothing beats good, hands-on customer service. We pride ourselves in having a great team of Customer Service representatives with 7,500+ 5-star reviews (and counting!) on Shopper Approved. So what does good customer service look like? While we do like to brag about our excellent team, they didn’t just get this good by accident. No, it took a lot of patience, trial and error, and some really productive brainstorming sessions. These three simple rules changed the way we handle Customer Service at Signs.com. Implementing them in your small business can drastically change the way you run your business. Have a variety of ways for customers to contact you. Some people are more comfortable calling; others like to email and some prefer live chat. Customers’ needs vary. Make sure you have ways for each type of customer to reach you. At Signs.com, we manage customers through online chats, phone calls, and contact forms. If you do have the luxury of a large customer service team, make sure each representative has clear objectives so customers aren’t left waiting for service. Good team management strategy sessions are a must. Give people a lot of chances to reach out. Plaster your website with contact forms and customer service telephone numbers. Place people strategically around your store to answer questions. Nothing is worse than having to search for twenty minutes to find someone to help you. If you have a large online customer service team, stagger their schedules to make sure more hours of the day are covered to answer phone calls or respond to emails. No one wants to be put on hold for hours or spend days waiting for an email response to a simple question. One survey calculated that 69% of people think “Satisfactory Service” consists of a “quick resolution to a problem or complaint”. Here’s our tips for responding to customers quickly. Have an organizational system in place. Know which customers have been helped and which ones still need attention. Just do it! Nike’s slogan also applies to customer service. Just type up the quote or get the right size of sweater from the stockroom. Get it done and off of your list of to-do’s. If you’re a manager of a customer service team, give your team tools to help customers. Write out clear guidelines and procedures for common problems, or organize your store for optimal efficiency. Give your representatives more autonomy and responsibility. Avoid transferring customers from person to person or putting people on hold for long periods of time to “talk to a manager”. Solve a problem the first time. There’s nothing worse than having to call back a customer service line or have to go back into the store because the problem wasn’t solved. 70% of customers said their reviews of a company’s customer service directly reflected the way they felt they were treated. People would much rather deal with a real human than a recorded message or an automated email. Here’s our tips for being more understanding of your customers. Build a team of empathizers. Easier said than done, we know. Building the right team can be tricky, but getting people who know what to say and what not to say is key. You can train anyone to stock shelves, take orders, or respond correctly to emails. You can’t train people to be compassionate and understanding. Look for (and hire) those people. Train everyone for customer service — from the CMO to the Accountant to the Graphic Designer. The sons of John Nordstrom all started out selling shoes on the retail store floor before becoming Board Members. With a basic understanding of what the customer needs, everyone can do their job better. Customers, after all, are the reason the company is running. Really listen. No, really listen. People can get frustrated quickly, and responding without really listening only increases their frustration. Understand what the customer needs before responding to their requests and ALWAYS ask if you’re unsure what the customer needs. Be honest with your customers. Did you miss their email because it went to spam? Tell them so. Forget to add a side salad to a dinner order? Tell them so and apologize for your mistakes. Most of the time people are a lot more understanding than we give them credit for. While we’re speaking of honesty… lay out clearly your policies and terms of service. Don’t hide important information in corporate jargon. Be clear. If there does happen to be a misunderstanding, assume responsibility and take care of it quickly. Don’t give the customer time to question your motives or intentions. Let them see you doing everything you can to take care of their needs. This by no means is a comprehensive list of customer service tactics that work. You may find some that work for you; others might not. What tips and tricks would you give to other small business owners? What does good customer service mean to you? We’d love to hear from you!